Replaying that clip over and over it looks like the reason is because at the point where the speed slows down is the point where his wrists stop turning into the swing. What are your thoughts on this, hopefully you saw it. 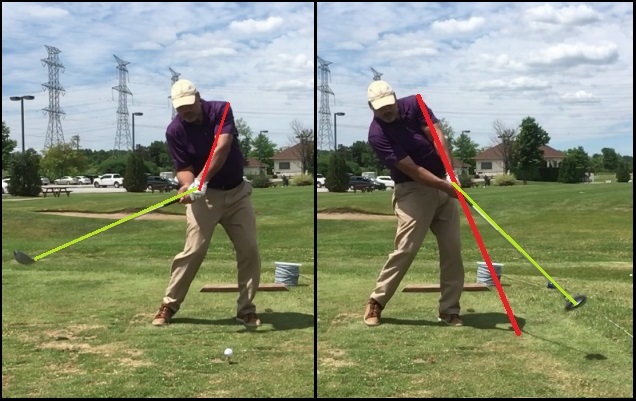 Reminds me of what Mike Austin says in one of his videos about you can’t push or pull the hands through, you have to throw the clubhead and fully release the wrists at the ball, and cocking/uncocking the wrists right at the ball doesn’t get max speed. Now, I saw the same analysis clip, wherein Peter Kostis asserted that, apparently since this was happening with Koepka, that this is something that happens to everyone and is supposed to happen because, well… because it happens to Koepka! And that, my friends, is the exact definition of junk science – well, it’s my definition, but any scientist would agree that taking one sample of anything and drawing from that a scientific conclusion without extensive testing would be junk science. I would say that it’s entirely possible that Koepka is losing 6 mph in club speed from 18″ before impact to actual impact, but if that’s the case, it’s his swing mechanics that are causing this problem. 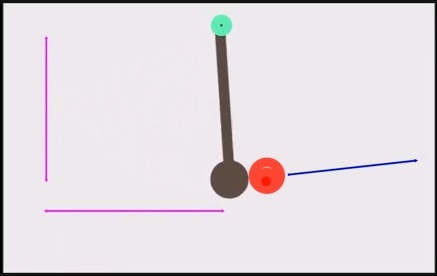 When does a pendulum bob move fastest and why? A pendulum bob will move fastest when the mass is at its lowest point (when x=0). The reason for this is that in the pendulum system energy is transferred between kinetic and gravitational potential energy, and total energy will always be fixed in the system. Gravitational potential energy will be at its minimum when the bob is at the lowest point, meaning that kinetic energy will be at its maximum, resulting in the bob moving fastest at this point. Doesn’t get any clearer than that! And that’s why MCS Golf Swing theory places the ball with the Driver at the swing bottom, which is the bottom of the pendulum drop, where you would have maximum velocity at impact, not a foot and a half from the swing bottom. 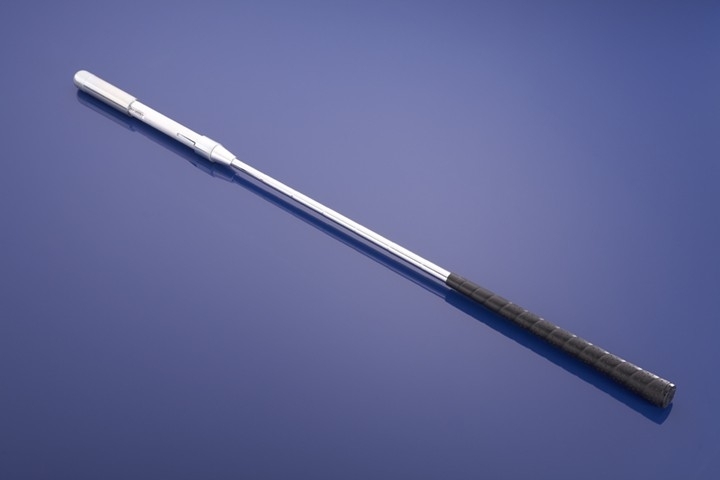 You can actually swing a club down through the swing bottom a good deal faster than a natural dropping pendulum weight because you’re adding muscle power to the pendulum with the use of your levers in the form of the leading arm, the trailing elbow and the wrists. So, the only way the you could have the club head moving faster a foot and a half before impact when the club and head are swinging down in a pendulum arc is if the person swinging it is doing something to interfere with the natural acceleration of the club into the ball! I’ll prove it – which ball would have greater velocity striking the ground from shoulder height – one that you just drop and let fall, or the ball that you throw down with your body and arm as hard as you can? The answer to that is obvious, and so this blog post doesn’t get over long, I’ve already discussed this exact problem with Modern Golf Swing concepts using Jordan Spieth as an example in this blog posting on the natural release and why it isn’t flipping or casting. In short – when you prevent a natural release by trying to hit the ball with a bowed leading wrist and trying to keep it bowed, or trying to keep the wrists from releasing naturally, you will actually slow the club head down into impact. I said that weeks ago, and thanks to CBS and Peter Kostis for proving that exact point with their junk science presentation on the weekend.